​Restoring and Preserving the Beauty of your Floors does not have to be expensive or time consuming. Lancaster Commercial Cleaning cleans and restores all types of flooring for your Commercial Business. We have the knowledge and expertise, as well as the proper products and equipment to maintain all types of Commercial Flooring your Business might have. Vacuuming, Sweeping, and Mopping are floor cleaning in its most simplest form - and although we do not overlook the most important and simplest forms of cleaning, we also implement methods that make Lancaster, PA floors stand out among the rest. We provide Floor Maintenance services on a weekly basis, bi-weekly basis, and monthly basis. For businesses that see a high level of traffic, week floor maintenance may be the answer you're looking for. 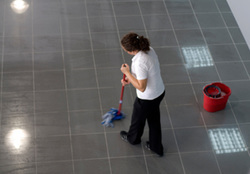 Less trafficked areas, such as in small business with few staff, may consider a longer period of time between cleaning. Our services are provided, not as a "box-deal," but as a unique package designed to the specifications your business needs. You don't need to pay for any work you don't need. We can help you set up the perfect system to keep your Commercial Floors in Lancaster maintained and cleaning, looking pleasant and appealing to all who enter your place of Business. We don't believe you should be billed for any extra work that you don't need. We will only perform the services that you ask of us; but they will be provided with complete detail and leaving your rooms looking impeccable. Lancaster Commercial Cleaning Service offers Free Estimates for all commercial cleaning services in Lancaster, PA and surrounding areas. We welcome you to call or reach out to us via the form on this page for an Estimate. We would love to hear from you.